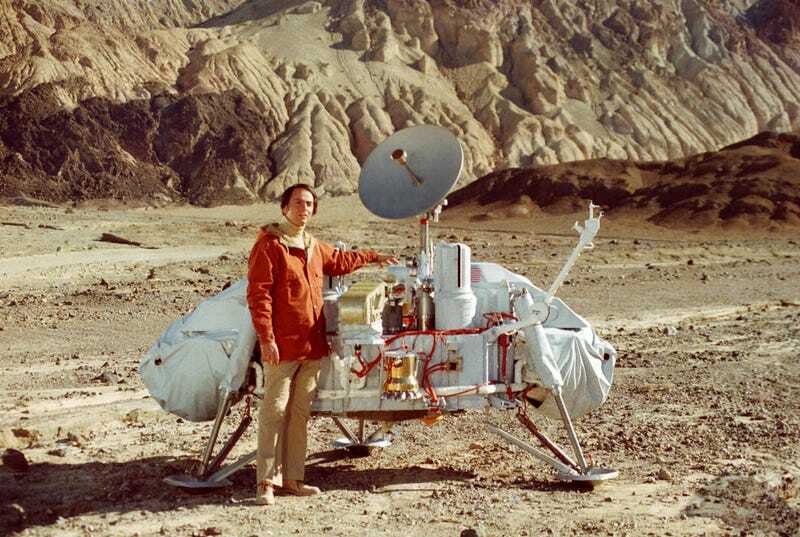 Doctor Carl Sagan and the Viking lander in the desert. What more could you possibly want?! Science-lover Carl Sagan helped popularize the Viking lander mission to Mars by participating in a photoshoot in Death Valley, California. But really, who needs context when you can have the voice of Cosmos hanging out with the first robot to take photos on the surface of Mars? The only question we have is: Do you think we can get Neil DeGrasse Tyson to pose with the Mars InSight Lander before it launches?